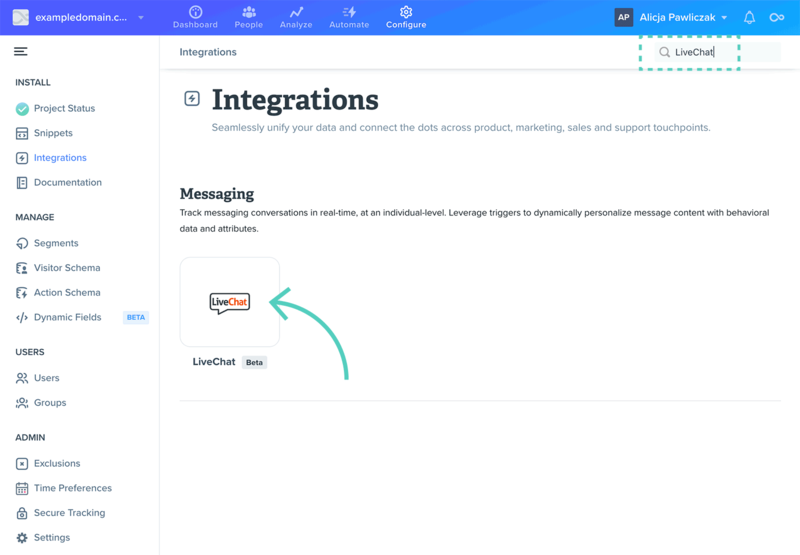 Using this integration, you can gather LiveChat-related information in Woopra. The integration also adds a few new Trigger Actions that hide or show LiveChat when certain conditions are met. 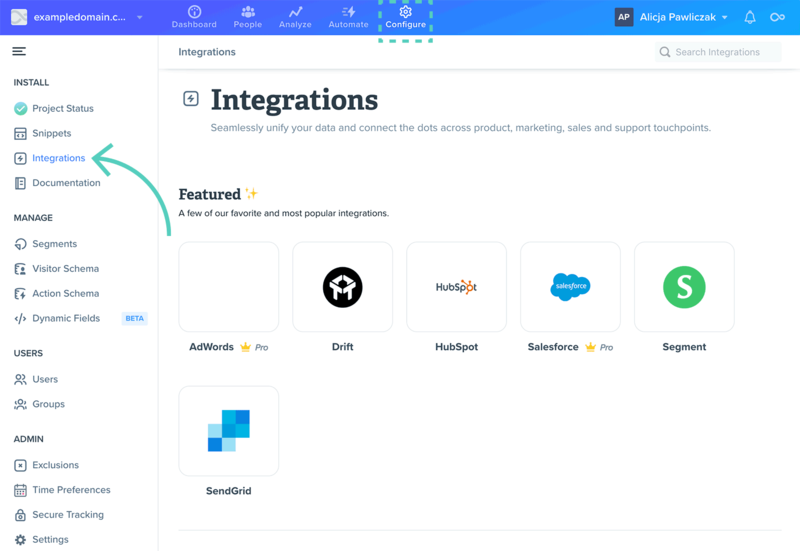 Log in to your Woopra account and go to Configure → Integrations. Type LiveChat in the search bar. Click on the integration tile when it comes up. 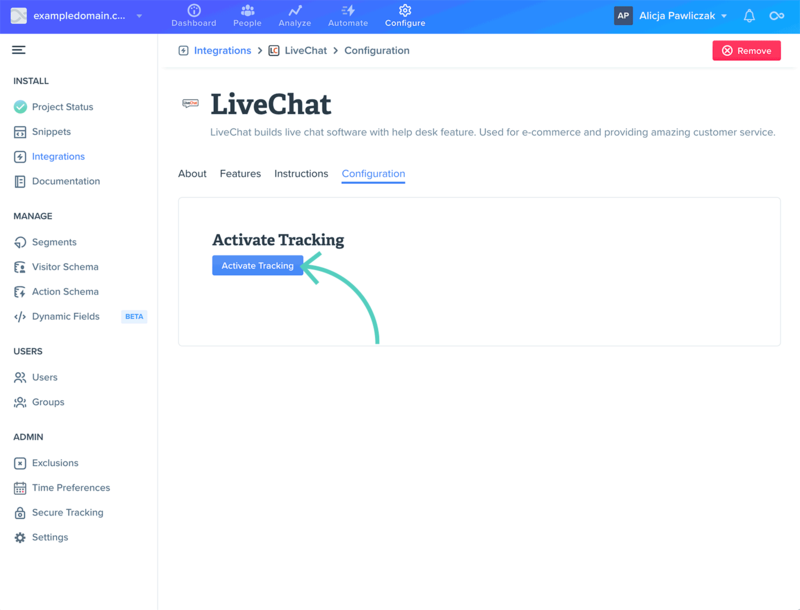 Click on Activate Tracking, and now all of your LiveChat events will be synced with Woopra. Congratulations! 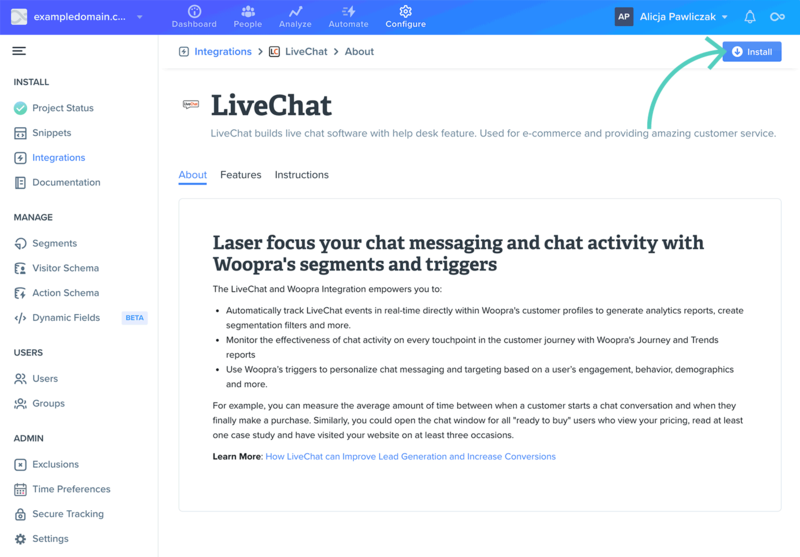 Your LiveChat-Woopra integration is now up and running. You should start receiving LiveChat data in your Woopra reports.